"Best software for screen recording and video tutorials"
BandiCam makes it easy to capture screen, voice and video simultaneously in a simple to use piece of software. I was able to see the software in action before I purchased my own license, but I could not think of a tool that captures screen, voice and video in an easier to use interface. It was originally designed for recording high speed gaming, so when using it for basic screen recording functionality, the image quality is second to none. I even transferred my license from 1 computer to another in about 5 minutes time. Very impressed with these guys. I had some difficulty with the software remembering audio and video preferences, so I had to test every time I opened the software. The main problem was that I was using a dock half the time and the laptop on the go the other half. Long story short - it wasn't bandicam, but my computer was changing preferences and bandicam helped me figure that out. That being said, it's still worth testing everything before recording. Nothing worse than recording 30 minutes only to find out the audio didn't take. Best screen capture software out there for the money. I am able to do all video screen recording for tutorials, tips, tricks and reviews through a simple to use system and never have to worry about video quality. Additionally, because of the multiple output options, I can edit and do further production no matter what production software I'm using. I use the program for a long time. Made a small opinion about him. - Availability of the free version. Before I bought the paid version of the program, I used the free version for a long time and was often pleased with the result. To my great regret, Bandikami is not intended to record video absolutely. Constantly skipping some problems with the final recording file: the lack of sound, pictures, its lack of parity in some areas and much more. I hope the developers will pay attention to this and take action. Please fix video game recording bugs and make support for broadcasts. Outside of work hours, I do business with and advising my clients from another industry. And as you might have guessed, not everyone understands direct instructions from the words, so I had to record instructions on video. For a long time I tried to find what can be used as a video recorder and at the moment I use only bandits. "Best recorder I've found. (For all of the above)"
11 / 10 . I wouldn't have a 16 subscriber YouTube channel without it. Best part are the options to choose between, a resize able window (Screen Recording Mode), the full on gaming screen (Game Recording Mode), as well as the option to use the Game Recording Mode and even your Webcam at the same time! And if wanted you can chose which ever "hotkeys" you would like to, Start, Stop, Pause, Capture and so on. Another option is, only if you would like to see the FPS (Frames Per Second), you can choose where you would like it to be placed on your screen as well. Don;t be afraid to check out YT videos to see how well you like them. Of course, you have to pay to upgrade, nothing bad though, you are limited to only 10 minutes. But with a small one time fee you can have all the time in the world if you want. Don't be afraid to try Bandicam out, it's quite the fun once you learn to use it and all of it's features. Use this tool to help your channel grow. This recorder has definitely helps in the very fine moments when needed. At times when you need to take a very quick screenshot, Bandicam is there to help in an instant. Luckily it does not increase lag on screen, during game play and neither while viewing the recording..
What Gaming Tools solution do you use? "Bandicam, a great product at an amazing price. " Along with the awesome price, Bandcam makes it extremely easy to capture audio and video directly from your PC. Before buying the licence you're also invited to test out the software with its free, trial, version. Audio and video settings enable any user with a license to personalize almost everything of the recording experience. The software has a high compression rate but the quality rarely feels like a downgrade, even at smaller file sizes. The ability to switch the recording between a game, full screen and screen area, or even with an external device, is also a great feature which I love. I've had some problems with corrupted videos, which I was able to fix with the tool provided by Bandicam themselves called Bandifix. Try out the free version, have a run at it. If you're looking for a software that can handle capture of high speed games with a lot of movement or that need a high bitrate when recorded, Bandicam might be perfect for you. 4K UHD recording and high FPS recording are also a great feature that will make your videos look better. Bandicam helped me with recording multiple videos a day, along with its smaller file size which has been a huge benefit. I was looking for software that would let me switch between multiple choices of recording area, at full 4K UHD and high FPS, 30, 60 and even 144 are supported. "Probably the best software you can buy for tutorials/walkthroughs." I use this software to record gaming sessions mostly, but it could be used for a number of things—including computer tutorials, demonstrations, academic online lessons, and of course walkthroughs like I use it for. The software is modeled for these things and that's clear from the get-go—you have the ability to activate a webcam through it and it does the corner placement for you, you can of course have the full range of picking and modifying your audio and video inputs, and there's probably even more advanced settings I haven't stumbled across yet. The only problem I've had so far is running it with large games (like Fallout). It's crashed on me maybe once or twice over a year's use. And you kind of have to keep an eye on the settings when you open it up—the file type reset once and I lost about two hours of footage audio. That wasn't a fun night. As long as you keep an eye on your settings, you should be just fine. That's genuinely the only problem I've had so far and it's happened once. This is more for recreational use, but I can see how this would solve a number of problems with program training, etc. in a business setting. I might recommend it to use for a software tutorial video at work. What I appreciate the most and like the best with Bandicam is right after you install the program it's pretty much that simple. You'll see a big button, you hit that and you'll start recording your screen. The benefits of having a screen recorder goes beyond what I can write here. However, especially in attempting to troubleshoot Information Technology issues, I can record my screen and then let my IT support figure out what I did wrong. Not only in this situation, but those who like to play video games on PC/Mac, this program will flawless record your screens with ease! One of the things I definitely dislike about Bandicam is it'll freeze or incomplete a video you're recording. About an hour ago, I was having an issue with an application so I went to record what was going on to be able to show the IT and have them replicate it. Bandicam froze up about 3 times before I was able to actually have a video file to that I could forward over to my IT Support. It's the little things that bug ya, but none the less, this is a GREAT program. 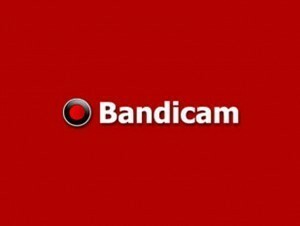 Let me be clear, if you are currently looking for a screen recording software or are on the edge of whether or not to buy this product, I would definitely recommend Bandicam. Bandicam has cost effective solutions to anyone and everyone. There's not a moment I would pass on this product. It has always gotten the job done with or without a hiccup. Do not delay, pull the trigger and buy Bandicam today! You will not regret it! The business problems I am solving with Bandicam are especially IT related as well as being able to record anything I want. There has been a few times where I needed to record something from online websites, or show flaws in my websites that I want fixed. The benefits I have realized are superior. With Bandicam, theres no more screenshots or photos, I can provide a full length video to anyone and everyone that needs to see what I am recording! "Fast, efficient screen recording software"
Bandicam can record very high quality videos, making it suitable for recording gameplay and product development videos for professional use. The software can capture videos that contain DirectX or OpenGL contexts without including window borders. This runs optimally, and provides better performance and results than just recording that screen area, with smaller resulting filesizes. Finally, the software is relatively cheap, and even has a free version that places a watermark, so you can test the features and performance before making any financial investment. The user interface for Bandicam can be a little confusing when first using it. This is because it uses a custom frame for the window itself, making recognisable UI elements difficult to identify, and making the window boundaries unclear. Finally, some of the default settings are not good choices. For example, anyone who is spending lots of their storage space to record videos is unlikely to want JPEG screenshots by default, and many users do not change their default settings prior to jumping in to the software. Note: I found it very hard to identify issues with Bandicam, but I'm also a relatively new user of the software. Make sure you have a strong system. As with all capture programs, this software isn't ideal for weak computers. I'm using Bandicam to record gameplay and development videos of my indie games. This allows me to show it to other users without having to have functioning builds, and teach other developers how I do certain things when IDEs aren't available or offline storage of tutorial videos are needed. "Small app that lets you capture video with many options quickly and easily." Being able to record an area of the screen is perfect for being able to show off bugs for applications that aren't full screen, such as the apps that I work on. UI used to be smaller and more condensed, which I preferred. The new UI works, but seems to take longer to load and is a little more busy. Definitely give it a shot if you are in need of quickly recording your screen, even if only a partial section of the screen. Being in QA, you need to document your movements to provide bugs to developers. - Record at lower quality for ease of upload. "A great game recorder and screen recorder application"
Compressed video sizes compared to FRAPS and high resolution video. Supports up to 4K recording and 144 Frames Per Second for video. "Literally the Best App Ever"
I like that you can customize the watermark on your videos as it allows for a more defined look to your videos and makes it your own. I do not like that it is unclear of the other locations that you can buy their amazing software. For instance, I had to contact them to find out if their Amazon buy page was the real one. It allows us, at jHeight INC., to be able to record videos more efficiently and more cleanly than with Fraps, OBS, Camtasia, CamStudio, etc. "Personal use - app I am building - Bandicam"
The accessibility is great...I am a new coder in my personal time and bandicam has been easy to use to see how my product may work with their software. I really think its better than Fraps when you pull back everything and look at the hardware. Very seamless. I've had issues with Bandicut and it doesn't seem on par with the rest of the product. you're going to love the product if you're a gamer that is trying to get the best recordings out there but keep in mind it has a bit of a steep learning curve. im more in a learning stage for a product i am working on that is a bit similar to bandicam, so not necessarily solving a problem. "Bandicam is the perfect screen capturing and recording software "
How simple it is to use. You just select what you want to record, then press a button to start and stop recording at will. Then you open up the location where you wanted Bandicam to save your files. It's as easy as it gets; there's virtually no learning curve at all. The only potential issue is that, on occasion, a new update will render Bandicam incompatible with certain software. But the customer service was extremely helpful and responded in real-time via e-mail. The only time I ever had this issue, a tech support specialist helped me figure out what the cause of the issue was and then directed me to a solution that fixed everything. In the following updates my specific issue was fixed. If worst comes to worse you can always roll back to a previous version that did work and then work with Bandisoft to figure out a more permanent solution. Bandicam is primarily meant for gaming videos. However, it can be applied to virtually any kind of simple videos. Perfect for businesses who just need to make a short tutorial video for their Youtube Channel or Social Media department. Bandicam also works well with and is meant to be used in conjunction with Sony Vegas video editing software. Bandicam is not a traditional business oriented software. It is a screen capturing tool that is geared towards gaming videos. This is perfect if you want to become a Youtuber or freelance filmmaker/video editor using digital animation as the primary source of your footage. However, Bandicam does NOT solve any 'problems' per se, nor is Bandicam the most powerful or popular screen capture tool out there. If you are looking for something more comprehensive then Camtasia will probably be more appropriate for you. But Bandicam's main benefit is how easy it is to use. It drastically reduces the amount of time you need to capture on-scree footage and thus allows anyone to shorten the length of time to make a video. The other advantage of Bandicam is that the free version still allows up to 10 minutes of recording per file and the watermark is largely out of the way and isn't difficult to edit out of a final video. Lastly, Bandicam is a very cost-efficient and cheap alternative to some of the more expensive options even when upgraded to a full license. ease of use, intuitive interface. I like little heavy so that videos are created. plus you can record for quite some time. release him, and you can download for free. create tutorials for users to observe the handling of applications. * We monitor all Bandicam reviews to prevent fraudulent reviews and keep review quality high. We do not post reviews by company employees or direct competitors. Validated reviews require the user to submit a screenshot of the product containing their user ID, in order to verify a user is an actual user of the product. Hi there! Are you looking to implement a solution like Bandicam?